How incredibly wise. We pass each other by and so often simply offer perfunctory words of greeting. But as human beings, perhaps, more than anything, we just want to be seen and heard and understood. This African tradition reminds us that we have to intentionally pause and acknowledge and see from a layer underneath. Where did this rabbi learn of such a meaningful, African tradition? From camp. Yes, summer camp! I just returned from serving on faculty for a week at the Eisner Camp for Living Judaism. Well over twenty years ago, when I was in rabbinic school, I worked as a Unit Head for two summers at the same camp in Great Barrington, Massachusetts. Those summers were formative in my development as a person and rabbi. I didn’t know from camp. My parents couldn’t afford to send us as kids. I didn’t know I was missing anything one way or the other. But I learned quickly a couple of decades back that eight weeks away from home lend the possibility to change the trajectory of a child’s life. Each day in camp is equal to a week of a child’s “regular life” back at home. Indeed, children evolve, especially, because they are away from their parents. The initial homesickness they feel is not a disease, just a condition which helps the same children learn to trust themselves, feel confident in their independence, realize that they can create safety and connection with others because they themselves are worthwhile. I never forgot those summers at Eisner, but like everything else in life, the specialness remained, even as the sacred details started to blend in with the fabric of the rest of my life. Eventually, I had children of my own and my eldest declared that he wanted to go to sleep away camp like his friends. Frankly, my wife and I would have preferred to keep him at home. It didn’t feel natural to us to send him away during our quietest time of the year. He needed to be under our nurturing umbrella we thought. Alas, on the “camp visiting tour”, our son fell in love and the next summer he went off to Eisner for four weeks. I admit, I was heartbroken for most of those weeks. And I will also admit that my son came back not as a different person, but a more evolved version of himself…..more responsible, confident, generous and kind. In this, my son’s fourth summer, I returned to camp over two decades later to serve as part of the camp’s roving, weekly rabbinic faculty. It was an extraordinary seven days. Not easy, but extraordinary. I was forced by my exposure to so many kids, to look for and see my deepest sense of self. The camp asks children to be vulnerable, accepting others for the worth of their soul, not for their superficial cover. And, so while asking such from children, we adults are forced to do the same. I observed and was moved by kids who normally wear every mask they can find to hide from the world, instead, remove the layers and serve up generosity in portions which if put together, might actually save our world. I was moved by the depth of spirit and maturity displayed by the counselors in camp. They are barely adults themselves and yet, they hold the emotional and spiritual lives of real children, experiencing life on all ends of the human spectrum. 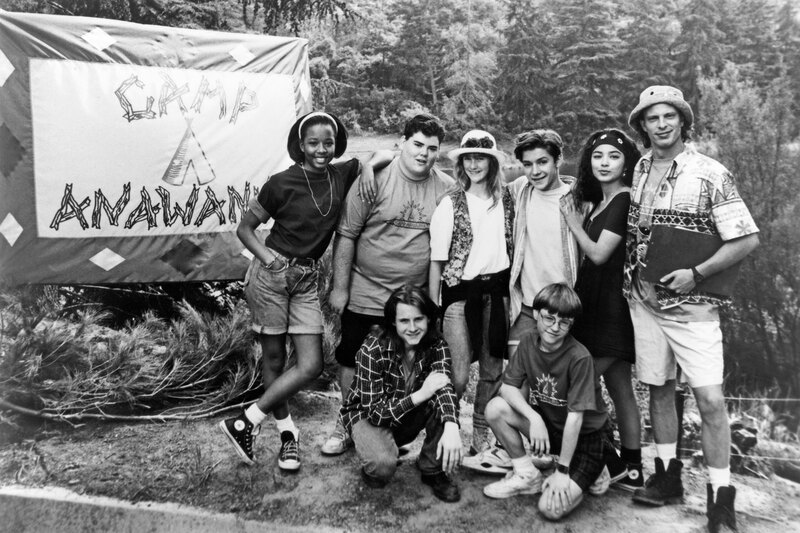 When these same counselors return to the college campus in the fall, most of their friends will assume that their summers were carefree because they worked in camp. But the opposite is true. These caring souls work eighteen hours a day and learn how to be mature and steady leaders because of their work. I believe that the best of them will build on their summer experiences to make meaningful and impactful lives for themselves. Most moving, was the sense of freedom children seemed to feel by being at camp. Not because they rule the roost, but because, in a safe environment, they are forced to independently make choices……about which activities they love, but more, how to connect in relationship. They are given room to fall down and not have a parent catch them. They don’t have parents there to micromanage their friendships. Their actions have consequences and it is not made better because of their parents’ wherewithal. Freedom with boundaries and values says it best. All week, I observed children as they shed off their layers and found within, their deepest sense of wisdom and self. I heard children as they laid on the ground and watched the stars, talk with relief about being away from the drama of their home relationships, the constant talk of violence on television and the academic pressure to be perfect. It is obvious that breaks from our routine are important, but this was more than mere vacation. These days away from home, school these children in character-building, value-evolution and independence-making. It is not magic; it is good old-fashioned, spiritual, wise, evolving, joyous freedom. The campers grew. I grew. And all of us could use the time away from the same, somewhere, not for fantasy, but for independence from all which sometimes keeps us shackled. We all deserve it. Indeed, the next time, some says “hi” to us; perhaps, we look a little closer and deeper and respond, “I see you”.